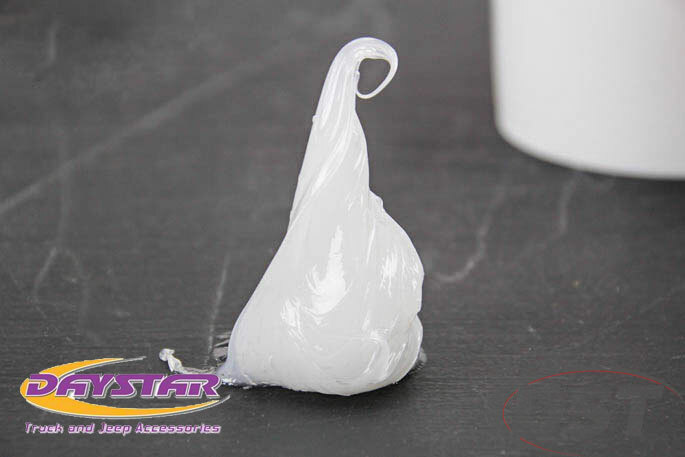 Daystar's Lubrathane poly bushing grease delivers a sticky substance that will hang onto your bushings whether you're going over the river or through the woods. Whether you're installing poly bushings on your weekend trail running machine or you're weekday work truck, proper lubrication is essential for quiet, smooth operation. Daystar's Lubrathane poly bushing grease has a silicone base and PTFE among other additives which delivers a sticky substance that will hang onto your bushings whether you're going over the river or through the woods. This grease allows smooth articulation in your pivot points and keeps the bushings from binding. For those with greasable sway bar or leaf spring bushings Daystar's grease is also available in grease gun tubes for easy maintenance after a long hard day going over broken country. This grease is one of your best poly bushing greasing options.